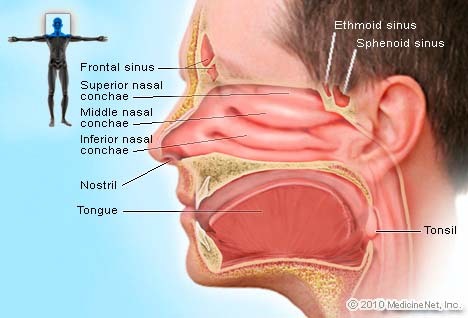 Sinusitis generally refers to the inflammation of the sinuses. Blocked nasal passages due to swelling and inflammation can lead to difficulty in breathing and bacterial infection. 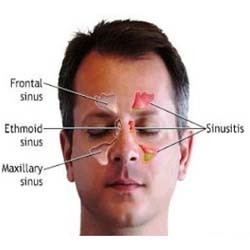 There are a lot of ways to prevent sinusitis and some natural ways to treat them at home too. Keep hydrated. Drinking lots of fluids like water, juice, tea or coffee can help in thinning out mucus in your nasal passages. Once the mucus has thinned out, it will be easier to blow them out resulting in clearer nasal passages. Alcoholic drinks should be avoided though as alcohol is said to worsen the inflammation and swelling. Make a saline solution at home using warm distilled water and some salt. Use it to clean up your nasal passages. Steam your face. Simply pour boiling water onto a bowl and breathe in the steam. It would help to drape a towel on your head and shoulders so that the steam does not get out. You can also turn on the shower and stay in the bathroom for several minutes just to breathe in the steam though it would waste a lot of water. Steam can help loosen up blocked nasal passages and reduce swelling. Make sure that you house is well ventilated. Houses that have poor ventilation can make air inside the house dusty, moldy and thick. This is not advisable for those who have sinusitis as it further worsens their breathing problems due to the blocked and inflamed. Also, some of the food should be avoid. Check out the video below. If you like my blog, please share with your friends and family. Do your eyes feel itchy, painful and feel like they are burning? Do you experience pain, blurred vision and sudden sensitivity to light? You might be having dry eyes syndrome. Having dry eyes syndrome is the result of the malfunction of the tear glands wherein little to no amount of tears are produced. Tears are very important to the eyes since they lubricate, moisturize and protect our eyes from various substances that can cause irritation. Here are a few tips to help prevent and remedy dry eyes. - Using the computer for a long period of time. Eat a well balanced diet including fruits and vegetables to ensure proper functioning of all the organs (including glands) in the body. Keep yourself hydrated by drinking eight to ten glasses of water a day. Apply warm compress on your eyes. Simply soak a piece of cloth or towel in warm water and place it over the eyes for a maximum of ten minutes. You can do this more than once a day but it is highly recommended that you apply warm compress first thing in the morning. Give your eyes a break. If your work involves reading, using the computer and other activities that stains out your eyes, take a minute or even a few seconds to blink, close your eyes or look away from what you are doing. 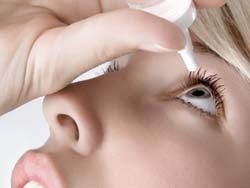 Let me know if you have better solution to treat dry eye, please share with my readers. I also found an article regarding how to keep your eyes healthy. To explore more articles, visit my website Natural Health Care Reviews. Do you embarrass with your sweaty feet? I know a lot of people do have sweating problem. Having sweaty feet does not only make you feel uncomfortable. It can also make your feet smell. Sweat is generally safe and odorless. However, when combined with the warmth and moisture provided by your shoes, sweat can lead to bacteria breeding – causing bad odor and smelly feet. Here are a few tips to keep feet sweat at a minimum. Wear cotton socks and avoid synthetic ones like acrylic and nylon. Remember to change your socks everyday at the very least. Try changing socks twice a day if your feet still sweat even if you change your socks everyday. Avoid wearing very tight or very enclosed pair of shoes that do not allow your feet to breathe. Avoid wearing footwear made of plastic or rubber unless they have holes on them or are breathable. 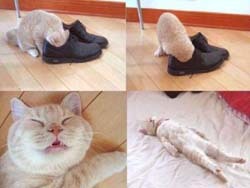 Avoid wearing fur lined footwear as it will trap moisture and not let any air in. Look! What if you have a smelly feet? Try making your own foot soaks and soak your feet in it several times a week. One recipe for foot soak makes use of five tea bags and one quart of hot water. Allowing the tea bag to seep for a few minutes and for it to cool down, soak your feet for 20 minutes and towel dry. You can also make use of half cup vinegar and one quart of warm water or a baking soda and warm water soak. Maintain proper feet hygiene. Make sure to thoroughly wash your feet everyday with soap and water. You may also apply foot deodorant, foot powder and antiperspirant if it works for you. If you have take this remedies steps but still not able to solve your sweaty feet problem, you might need to consult your doctor for other treatment option. My other articles can be read at my website Natural Health Care Reviews. We often get relief from our anger either by resorting to violence or vengeance or just by simply screaming out hearts out. I would prefer the later. Allowing yourself to physically express your anger safely and harmlessly will give you instant relief and without the drawbacks. 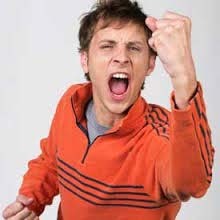 Many conventional psychologists would say that expressing your anger in any fashion would lead to more anger. They say that its only a delusion and a mask of a more deeper and dark black hole of anger that could backfire anytime. And we say that they are wrong. Anger is a negative energy that could poison your thoughts, health and feelings. We all know that psychological burden, like anger for instance could affect your physiological balance thus making you sick. Sometimes it causes, headaches, back pain to heart diseases. If your release your anger, you will experience profound peace, physically, mentally and emotionally. You can do that by not hurting anybody but by doing some specifically safe and energetic exercises as follows. Let your anger have it by pounding on pillows. Typical isn’t it? But true. Find a place where you are alone and undisturbed. Punch a pillow or hit it repeatedly with a tennis racket while yelling and cursing. How about screaming inside your car during traffic? Yeah. This is what I usually do when I get mad with the heavy congested traffic. That’s also an effective way of releasing your wrath while passing on time. Here’s what I like. Breaking dishes in your garage. I need to hear something breaking for that quick relief. I make sure that I make necessary precautions not to hurt myself or the furniture when I do this. The plates of course are brought from flee markets at very cheap amounts. Good for breaking but I strong not recommended this. While you do anything above mentioned, make sure to breathe properly for the emotional release work. Breathe slowly and deeply through the nose, filling the entire torso from the lower abdomen to the upper chest and exhale through the mouth. 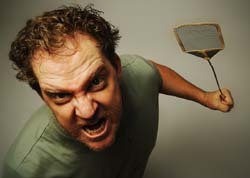 The above mentioned anger management technique may not be for everyone but it sure do works well for me!